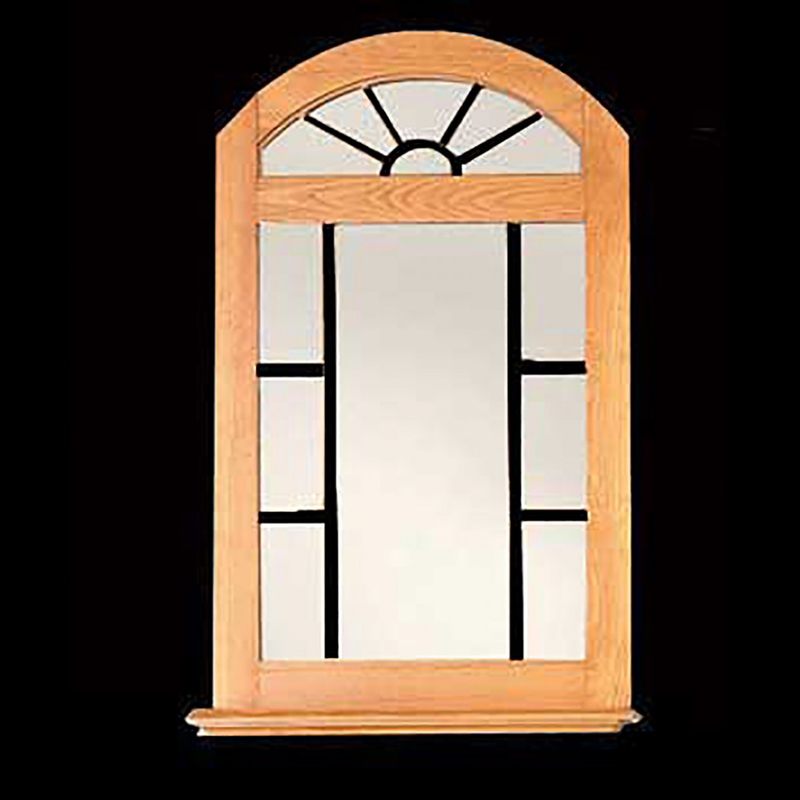 Mirrors built to last. Purchase your Mirrors here today. Measures 39 in. H x 24 1/2 in. W x 6 in. proj. Mirror. 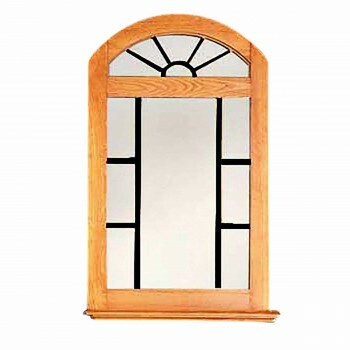 Made of pine this mirror has an architectural windowpane style with a decorative arch top. 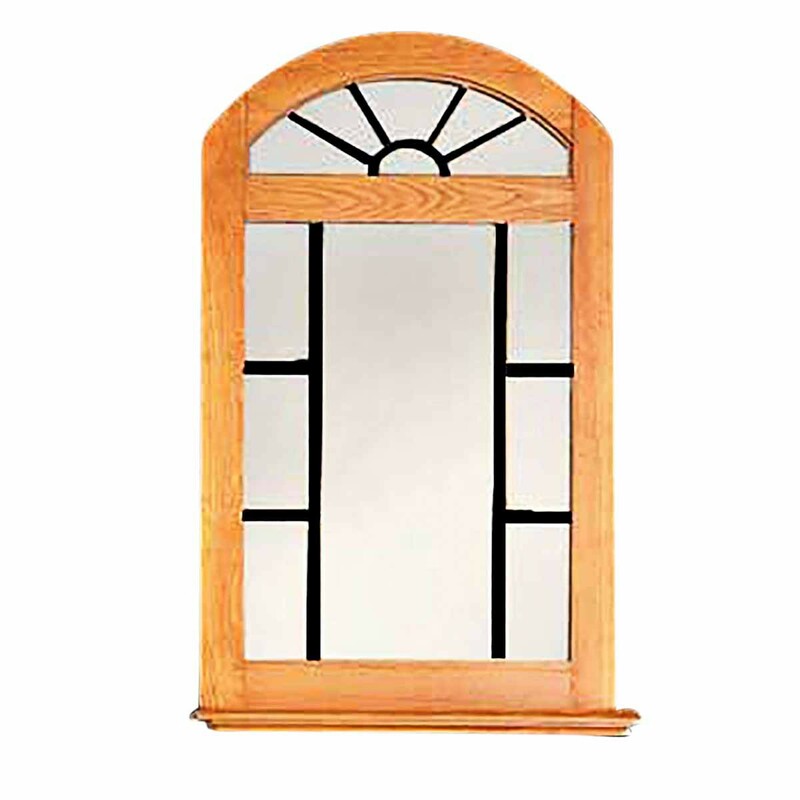 Crafted of pine this mirror comes with a rich heirloom pine stain. 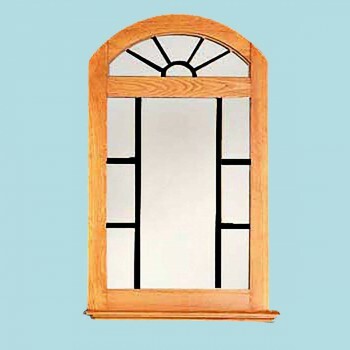 The inner windowpane moldings are black which provides more interest and depth. Measures 39 in. H x 24 1/2 in. W x 6 in. proj.